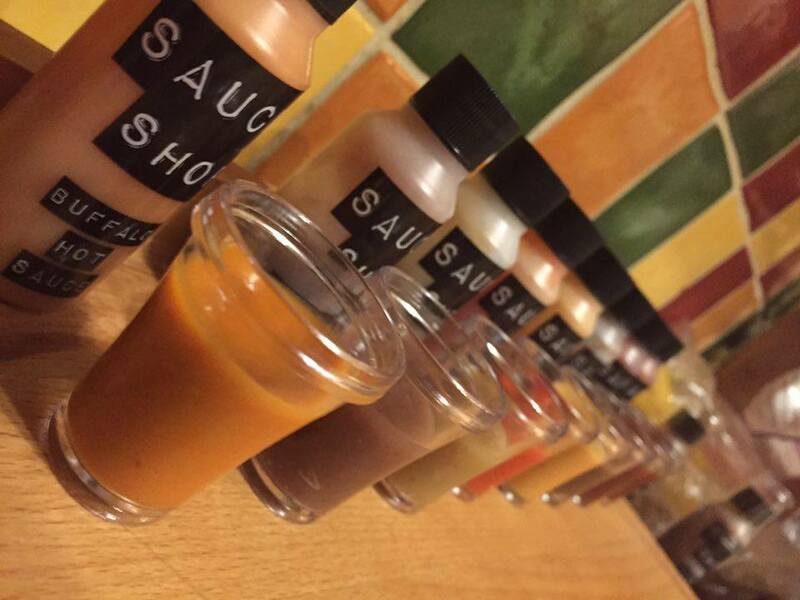 Sauce Shop is a Nottingham based company that sells lots of different sauces! Pam & James decided to start making their own sauces after they took a look in their fridge to find so many sauces which were becoming a little costly. It all started with Smoky Chipotle Ketchup and they haven't look back since with an impressive range of more than 10 flavours which includes both sweet and savoury. After finding out that there currently no stockists of these sauces in Derbyshire, I was kindly sent some to try to share with you all. After a quick think, I decided to shove some chips in the oven (french fries) and use them to dip. As there were two sweet flavours too, this would be tested with vanilla icecream. Tomato Ketchup: A classic. The Sauce Shop's take on tomato sauce is delicious and is bursting with tomato goodness. Smoky Chipotle Ketchup: From just opening the bottle, you can smell the smokiness from this sauce. It is rather strong, far too strong for me but I can see why others will like it. South Carolina BBQ: One of the newer flavours to the range, I can see this one being a welcome addition to the family. Not like your average BBQ sauce, this one is sweet but punchy with strong mustard seed flavour which compliments it really well. 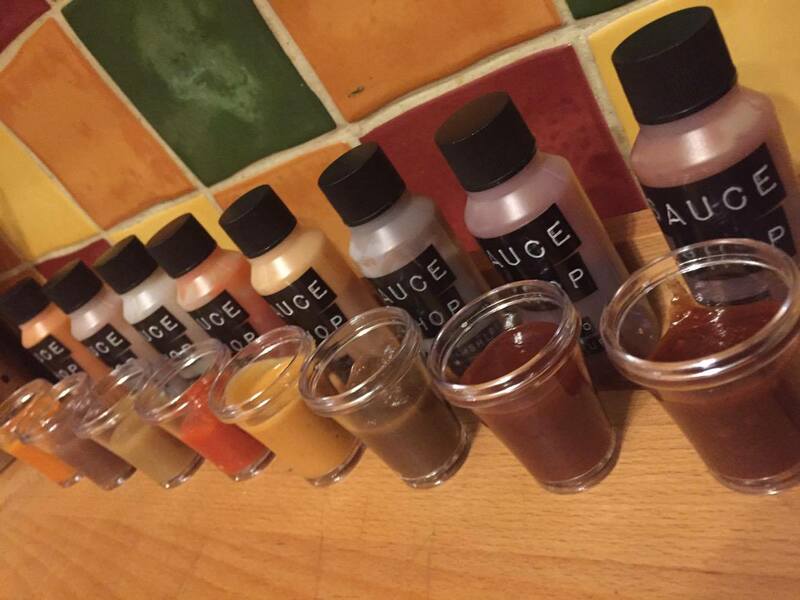 Nottinghamshire Sauce: We all know about Worcestershire Sauce, but could Nottinghamshire sauce be the next big thing? A great alternative to brown sauce. You can really taste the herbs in this sauce. I'm going to be trying this on a sausage sandwich! Caramelised Onion: Wow! This sauce tastes exactly like caramelised onions! An amazing sweet flavour and the smell takes you back to being at a fair or maybe a bonfire. Buffalo Hot Sauce: The first thing I thought of when tasting this sauce is that it is very American. You know, like what you get served in a huge basket where the chicken wings are covered in this kind of stuff. Has a little bit of a peppery kick but nothing too spicy. Fiery Chilli: This one is starting to get there when it comes to hotness. It's manageable which means that you get to actually taste the red chilli rather than just pain! This was a popular choice in our house. Really Hot Sauce: Ashlea can handle the heat, so was the first to try this one. After seeing his reaction, there was no way that I was going to try this sauce. Painful! Can you handle it? Peanut Butter: The first of the sweet sauces. The PB sauce is very thick, it can't be poured. With lots of peanut chunks still in there which is a nice mixture of textures. A great one for peanut butter lovers. Salted Caramel: My favourite sauce of them all! A lovely rich caramel sauce complimented by a slight hint of salt. Amazing. Went so good with the vanilla icecream too! Yummy. 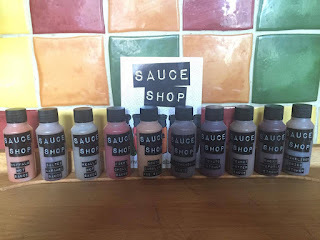 I was really impressed with Sauce Shop's range. When I come across them in a shop, I'll definitely be buying some more to eat! Or I may place an order online. Depends how impatient I'm being. The bottles that I had have around a years expiry on them which is really good too. Have you tried any of their sauces? Let me know which is your favourite. Be sure to let Pam & James know if you know somewhere that would like to stock these sauces in Derbyshire too!